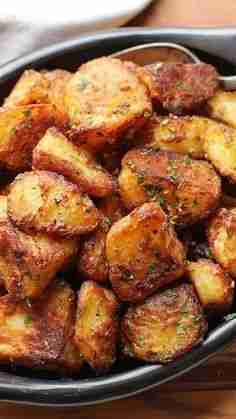 This might be the Best Roasted Potatoes Ever Recipe ! These are the most flavorful crispy roast potatoes you’ll ever make. And they just happen to be gluten-free and vegan (if you use oil) to boot.